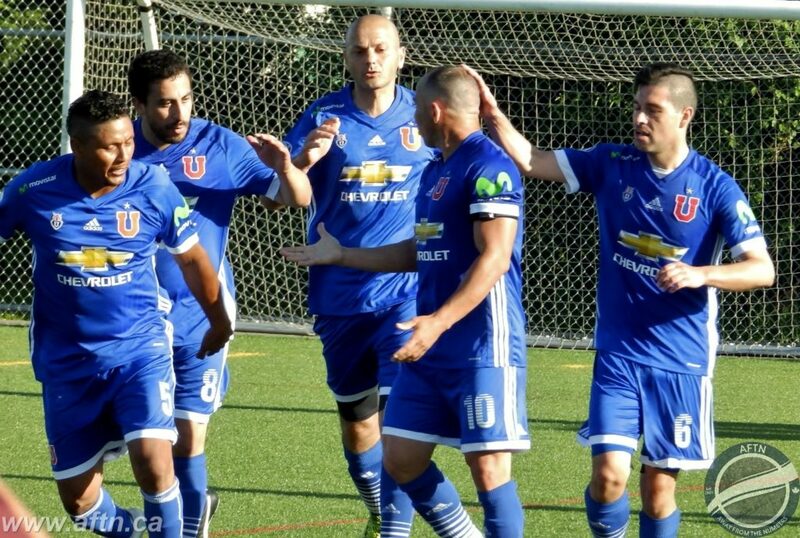 No-one can accuse Vancouver Strikers of having an easy route to lifting their first ever BC Provincial B Cup at Burnaby Lake on Saturday evening. The VMSL side knocked off four league champions on their way to the Keith Millar Cup, with a fantastic cup run that defied the odds. 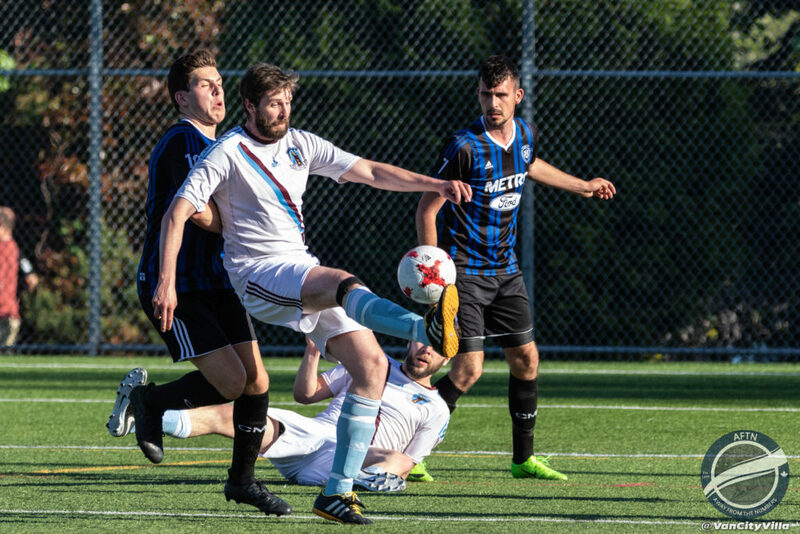 After receiving a walkover in the Preliminary Round when VISL side Saanich Fusion Bandits forfeited their match, the Strikers saw off FVSL league and cup double winners Abbotsford United B 2-1 in the first round. That sent them to Richmond for the quarter-finals, where they defeated RASA champs West Coast FC by the same margin. 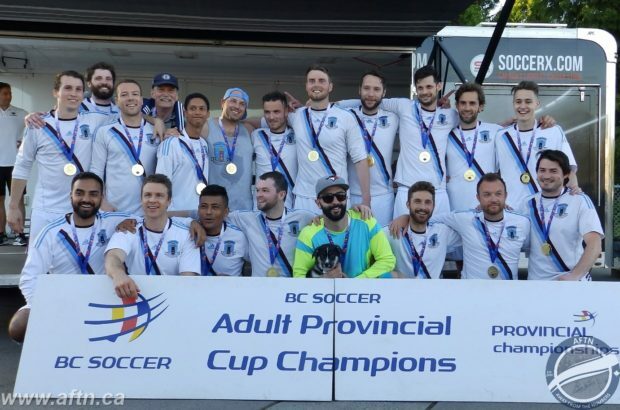 It was VISL Division 3A champions Powell River Villa up next, and the Strikers came through that one, again by a 2-1 scoreline, thanks to a stoppage time winner, setting up the chance to claim a fourth league winners scalp in Saturday’s final. In their path were VMSL Division 2A champs, and Division 2 cup winners, Coquitlam Metro Ford Lupi. The Coquitlam side had only lost one match all season. The team that handed them that defeat? Vancouver Strikers. And history repeated itself in a dramatic B Cup final, decided by a single goal in the searing early evening heat. 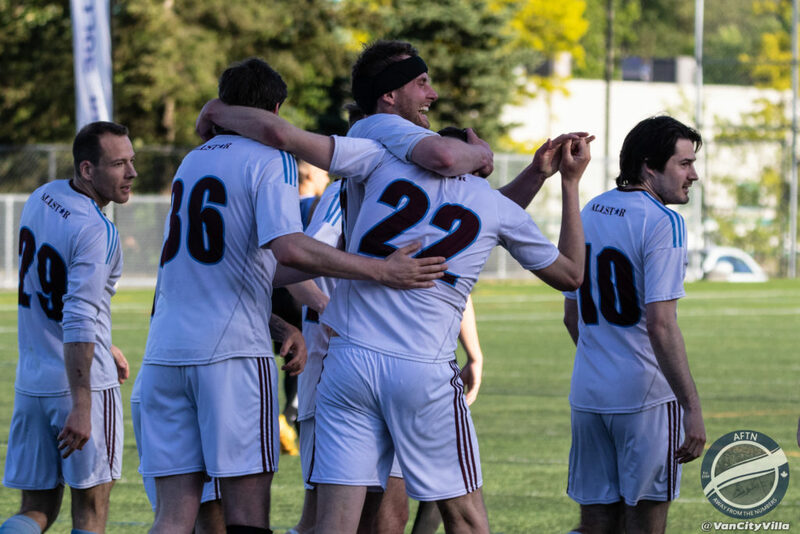 The Vancouver side had the better of the early going and Lupi keeper Matthew Krivak had an early save to tip away a cross with a sprawling stop just as Strikers’ Bryan Archibald was waiting to pounce. Coquitlam responded with a Giovanni Carida effort that went wide, before Strikers’ leading scorer Gavin Lytton headed a bouncing ball in the box over. But that was about it for the action in a slightly disappointing half from two teams that had shown so much attacking flair in their earlier matches. The heat was clearly playing a part, as no doubt was the occasion and what was at stake. You felt the game needed a goal and we didn’t have to wait long for it to come after the restart. And although we didn’t know it at the time, it was to prove to be the decisive moment of the match. William McKnight was the hero for the Strikers, taking a touch in front of goal from a perfect Joe Brooker cross, before hitting an overhead kick high into the net past Krivak to send the underdogs into raptures in the 48th minute. The goal lit a fire under Lupi who tried desperately to find a way back into the match. Strikers were having the more dangerous goal threats though and Brooker came close to putting the tie to bed when his free kicked dipped onto the roof of the Lupi net. Coquitlam were looking dangerous in attack but the final ball was lacking or finding no takers in front of goal. Michael Mobilio forced a routine save out of David McConville, but the Strikers keeper was having a more comfortable afternoon than he could have expected. Lupi’s best chance at drawing level came when Eric Dove got the better of Jordan Hamilton up the left wing, cutting the ball back from the byeline to Carida, whose sidefooted effort went inches past the left hand post. Lytton nearly finally ended the contest in the closing minutes when he crashed a 20 yard effort off the Lupi bar. Lupi’s last chance came in stoppage time when McConville made a point blank stop from Cameron Brock in the six yard box. The rebound fell to Dove, who blasted wildly over and that was all she wrote. The Strikers were Provincial champions. Duncan Nicol (@VanCityVilla) was shooting the game for us and you can find his excellent photo gallery in our Flickr album and in our slideshow below. 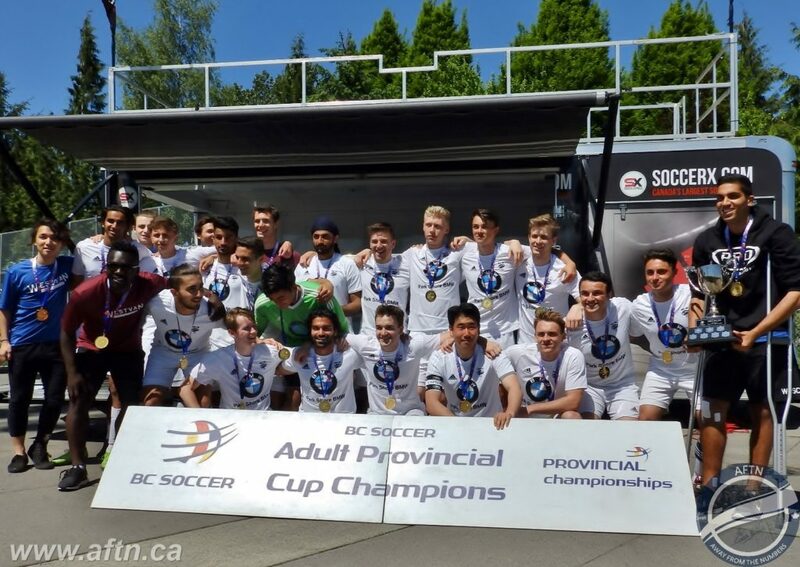 The action kicked off on Saturday at Burnaby Lake with the U21 final taking place in sweltering conditions at 11am, setting the tone for the rest of the day. 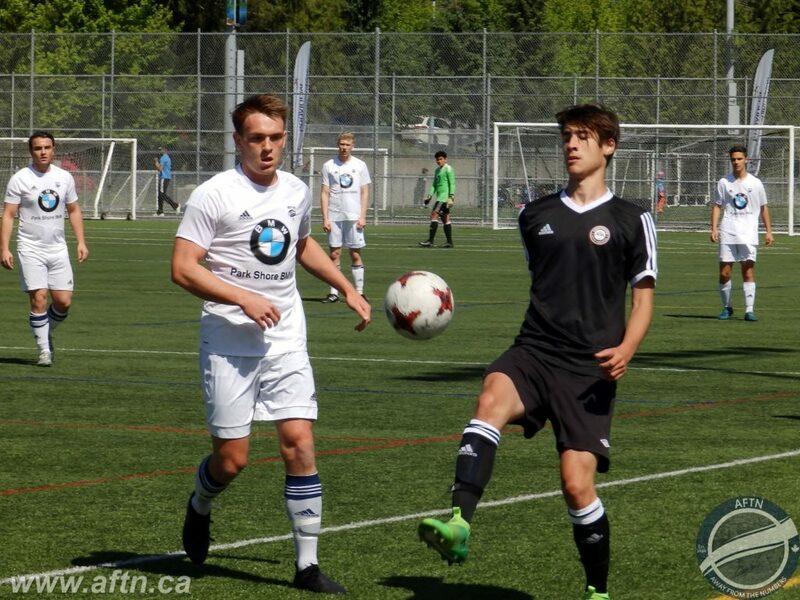 Many were expecting a close contest between VMSL U21 Cup, and league runners-up, West Van FC and FVSL league and cup double winners Abbotsford SA Storm. But the Fraser Valley side came up against a rampant West Van team that had the match over as a contest well before half time, eventually running out very comfortable 5-1 winners. The early action was fast paced, with both teams creating chances. It was Abbotsford who came closest to opening the scoring when they crashed a free kick off the bar, but after that it was pretty much one way traffic for the rest of the half. West Van opened the scoring in the 27th minute when Abbotsford keeper Jide Arojojoye spilled a long range shot and Aidan Callow quickly nipped in to pounce on the rebound, knocking it past the keeper, and firing home into the empty net. The VMSL side doubled their advantage six minutes later when Arojojoye produced a leg save from the second phase of a free kick, but the rebound this time fell into the path of Nicholas Glavas who gleefully tucked the ball away. A 39th minute penalty and a Glavas header off a corner in the last minute of the half gave West Van a four goal lead at the break, leaving Abbotsford stunned, but full credit to the FVSL side, they didn’t let their heads go down and fought hard to get back into things in the second half. Bailey Hot reduced the deficit four minutes after the restart, but any hopes of an Abbotsford comeback were dashed two minutes later when West Van added a fifth. Abbotsford had their chances to add to their tally, but couldn’t find another, and West Van comfortably saw out the game. You can see some more photos from the match over in our Flickr album. The action continued at 2pm with the first ever Masters Provincial B Cup final, and this one went right down to the wire after Burnaby League side Wanderers FC and the VISL’s Cordova Bay Bobcats finished the 90 minutes tied at 2-2, but with Wanderers down to ten men after a late sending off. With no goals in extra time, the match headed to a penalty shootout, and it was heartache for the Islanders as Wanderers ran out 5-4 winners from the spot. The Master’s A final was also a close affair, but this one was settled in regulation. Westside FC put in a strong showing in an all-VMSL affair, and certainly had their chances, but a younger EDC Burnaby side, led by some inspired goalkeeping, grabbed the only goal of the game early in the second half to come away with the 1-0 win and claim their first Masters crown in their first year in existence. We’ll bring you our coverage of Sunday’s Men’s and Women’s Provincial A Cup finals tomorrow, with video highlights and photos.